Good morning, birdy rental house. 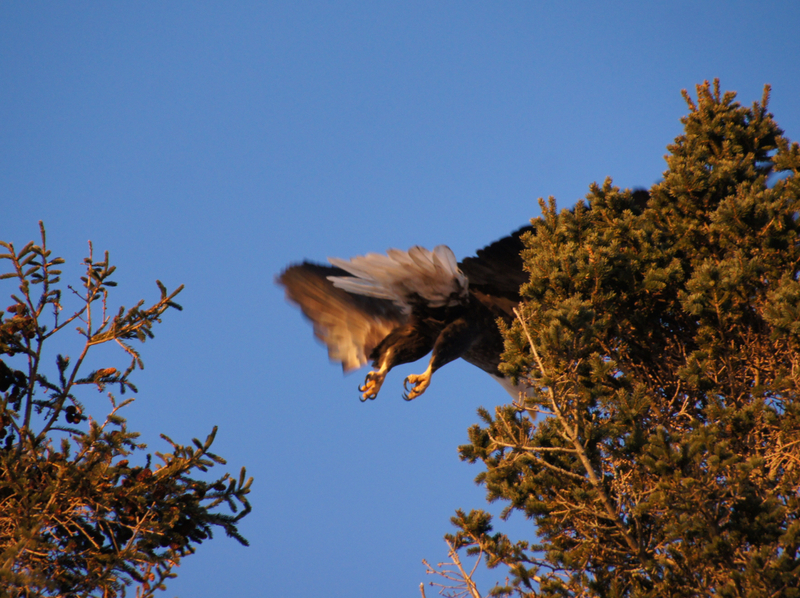 Put down coffee, pick up camera, walk out onto back deck… take photo of Bald Eagle, bam! This juvenile was fishing in Little Lagoon. Such big wings they have. Morning light on cool bird art. This entry was posted in Uncategorized and tagged Bald eagle, birds on January 6, 2018 by Amy. That distant, tiny dot above the tree horizon is something special. Friday afternoon I was walking here on River Road in Sewall’s Point, just a few blocks from home, when I heard an Osprey screaming. It flew over my head, chased by a slightly larger bird. They circled back around and passed over again, Osprey in the lead, distinctive black and white bird on its tail. My guess is that the Osprey had a nest with chicks. I think they stayed safe. But at least I had my camera so I could point and shoot and share it later. What a bold, beautiful bird. This entry was posted in Uncategorized and tagged Bald eagle, Osprey on March 5, 2017 by Amy. My husband and I went out for a bagel and coffee at Jumpin’ Jacks Java yesterday morning. 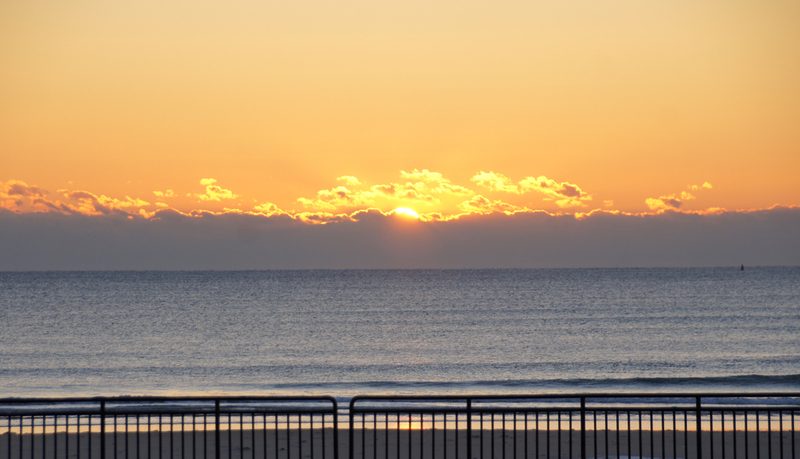 Great beach views from their front windows on Route 1A/ Ocean Boulevard. A little bit later we were driving north along the coast and saw a couple of crows mobbing something at the top of an evergreen tree in North Hampton, just across from the ocean on the Little Boar’s Head promontory. It was a bald eagle! I have seen them over the Merrimack River and Great Bay in winter, but never in (my town) North Hampton. A local birder reported 3 others in the area yesterday too. Concord Monitor last February: Bald eagles enjoying resurgence in N.H.
During a January bald eagle count, volunteers with New Hampshire Audubon set a new state record. 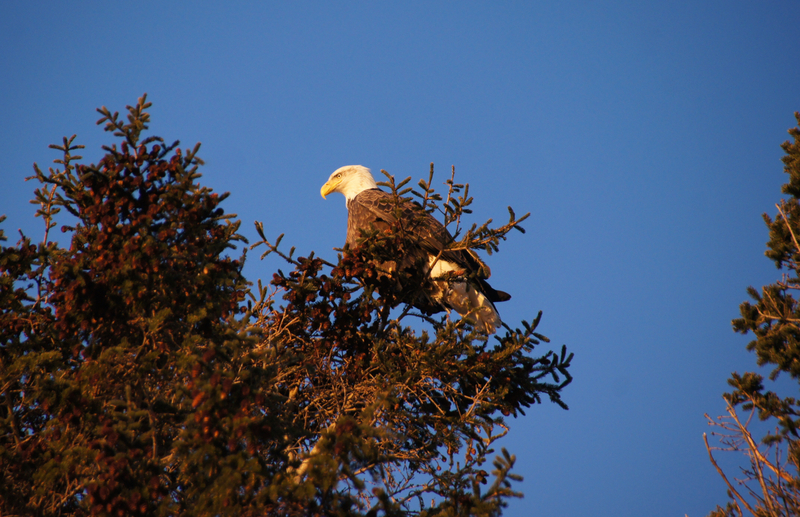 On Jan. 12, they counted 67 eagles in five regions, the most in one day in the event’s 30-year history. The previous high was 61, which had been recorded three times since 2008. Between Jan. 1 and Jan. 15 volunteers counted 83 birds, one shy of the state record for the annual two-week watch. “The bird is finally almost fully recovered from a real depressed population back in the 1970s,” said Chris Martin, a senior biologist and predatory bird specialist with New Hampshire Audubon. Based on the annual mid-winter counts, the number of bald eagles in the state has doubled every decade since 1983, when volunteers tallied only seven birds. In 1993, 21 eagles were recorded. Ten years later, 40 birds were spotted. While the numbers aren’t definitive, organizers use a consistent number of volunteers to check the same areas at the same time of year. Eagle flies away. Nice talons. More photos from our January Saturday morning on Flickr. This entry was posted in Uncategorized and tagged Bald eagle, birds, Seacoast birds on January 11, 2015 by Amy.